'Purchases by investors of gold will be based on fears of systemic risk or banking crashes,' Gmuer said. Gmuer's prediction is based on the events in the last major dramatic gold boom in the late 1970s in which gold rose from 35 to a heady 850 dollars an ounce. 'The ultimate currency, which has stood the test of time, which has no political support behind it, is gold. Nobody can print gold out of a machine or a PC.' He stated. Noting that this time round there is much more economic instability and, investors will continue to seek for safe havens. He added, 'This bull trend will end all the other major bull markets,' and pointed to debt capital as an asset class where demand and prices are going to continue to decline. Coupled with a further 500 billion in debt now being created guaranteeing an even further decline of the dollar and a poor showing of interest rates, gold and silver are now the only true safe havens available to cautious investors. Is not out of the question. In India it is the wedding season and love is in the air. From now until the end of December gold will be the dowry, savings and investment of choice. Could this be what is causing the spike in the gold price? Yes according to some analysts. But there is likely to be much more to it than that. Yes India and China are the biggest buyers of gold in the world and as the standard of living for many increases, especially in China, this buying frenzy will only continue. Gold has always been the traditional metal for security in Asia. Gold dealers in Singapore are noticing more buyers in the market but fewer sellers. This is also contributing to driving the price of gold up. But is it really a spike in the gold price? "Most sell orders are parked close to the $1,900 level, and so long as we stay in the range of $1,800 to $1,900, the bullish trend is pretty much intact." Since the end of June the gold price has rallied 400 US dollars and demand in Asia is now outstripping supply. So contributing to the a rising price of gold is a weak global economy, fears of recession, the Chinese policy of converting the ailing dollars they have into the safety and security of gold and not least the Wedding Season in India. And when the wedding season is over in late December weak global economy, fears of recession, the Chinese policy of converting the ailing dollars they have into the safety and security of gold will still be there and supply will still be trying to catch up with demand, so the spike in the gold price will likely not be a spike at all but just the steady continued rise of the price of gold. Perhaps inadvertently China has exposed the Gold Suppression practiced by the US government and Federal Reserve and may go a long way to explaining the increased focus on China's increasing its gold reserves. 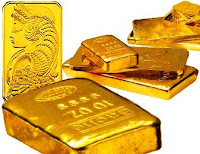 "China increases its gold reserves in order to kill two birds with one stone"
The China Radio International sponsored newspaper World News Journal (Shijie Xinwenbao) (04/28): "According to China's National Foreign Exchanges administration China’s gold reserves have recently increased. Currently, the majority of its gold reserves have been located in the U.S. and European countries. The U.S. and Europe have always suppressed the rising price of gold. 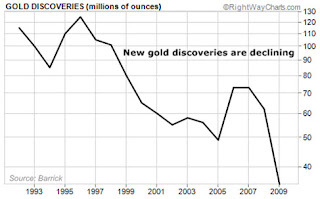 They intend to weaken gold's Function as an international reserve currency. They don't want to see other countries turning to gold reserves instead of the U.S. dollar or Euro. Therefore, suppressing the price of gold is very beneficial for the U.S. in maintaining the U.S. dollar's role as the international reserve currency. China's increased gold reserves will thus act as a model and lead other countries towards reserving more gold. Large gold reserves are also beneficial in promoting the internationalization of the RMB." The only people that do not seem to be aware of this it seems is the mainstream media, or perhaps that is just an induced coma on the subject to assist bolstering the US dollar. 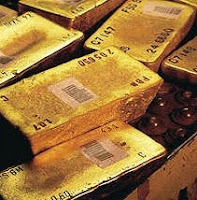 Never the less the cat is certainly out of the bag and with a shortage of gold to meet demand, the failing US dollar, mounting debt and an impending QE3, all contributing to the ever increasing demand for gold, the increasing value of solid gold as set against unbacked paper currencies is certain to continue its climb. China's Exposure of US Gold Suppression just goes to show. Truth will out. Acid Test: A test to determine the fineness of gold by subjecting it to various acids. Nitric acid is usually used for testing up to 10 carat gold. Gold finer than 10 carat only reacts with a mixture of nitric and hydrochloric acids known as aqua regia. Alloy: A mixture of gold and or silver with other metals such as copper, silver, zinc, platinum etc. Annealing: heating blanks (planchets) in a furnace that softens the metal. Aqua: literally water (Latin). In addition to terms denoting a condition or source or water (such as aqua tepida, warm water, or aqua nivialis meaning water from snow), some aqua terms denote aqueous solutions. Arbitrage: Buying a commodity on one market and immediately selling it on another to take advantage of differences between the prices on both.goldbars. Ask: The ask is the price which a dealer offers to sell. Assay: A test to find out the metallic content of a coin or bar. The test determines the purity, fineness and weight of a precious metal. AU: AU is the chemical symbol for gold. It comes from the Latin word for gold which is Aurum. Aurora: the goddess of shining dawn. Aurum: Latin for gold, hence the symbol Au. Austrian 100 Corona: A restrike (a coin previously minted and then reissued or 'restruck') bullion gold coin containing .9802 ounce of gold. Avoirdupois: The system of weights for commodities with the exception of precious metals, stones, and drugs. One avoirdupois ounce equals 28.35 grams or 437.50 grains. See troy ounce also. Bag Mark: a mark on a coin from contact with other coins in a mint bag. Bars: precious metals such as silver, gold and platinum forged or stamped into bars. They can be as small as 1/25th of an ounce or as large as 400 ounces. Bear Market: A Market which is down trending. As distinct to a bull market which is uptrending. Bid/Ask: This is the price offered by a dealer. The ask price is the price the dealer is eventually willing to accept to close the deal. Bid: The price a dealer is willing to buy. Biscuits: Gold and other precious metal bars come in two types. Cast from moulds or stamped. The stamped bars are thinner and flatter than the cast type and are often called biscuits as a result. Black Hills Gold: This is a particular style of gold jewellery made specifically in the Black Hills of Dakota, USA. It features usually 10k yellow gold with other golds such as rose gold, green gold and filigree and popular motifs such as the grape and grape leaf designs. To qualify it must be produced in the area. Blank: another word for planchet, the blank piece of metal on which a coin design is stamped. Boiler Room: A scam enterprise using high pressure sales tactics and false or misleading information, and scare tactics, usually by telephone, to sell overpriced or worthless investments to unsophisticated investors. Britannia: Britannia silver is purer than sterling. It is an alloy of at least 95.84% silver and up to 4.16% copper to increase the hardness and durability. It is denoted by the millesimal fineness hallmark "958", with the symbol of Britannia being applied optionally. BU: brilliant uncirculated, used to describe a coin in new condition and, by definition, not circulated. Bull Market: a market in which the general trend is up as distinct to a bear market in which the general trend is down. Bullion: Precious metal such as gold and silver in bar or "rounds" coin form. Must be at least 95.5 percent pure. Bullion Coin: A coin whose market price depends on its gold content or intrinsic value, not on it's or face value. Bullion Gold: A term for gold coins, wafers, bars or ingots (Cast gold rather than moulded or stamped) which is at least 995 fine. Bullion: Precious metal in negotiable or trading shape, such as a wafer, bar, ingot, or sometimes a coin. A general term for precious metals in the form of coin, bars, or ingots that are at least 99.5% pure. Also uncoined gold or silver in bars or other storage shapes (ingots). Business Strike: a coin intended for circulation (as opposed to a proof coin specially made for collectors). Bust: a portrait on a coin of the head, neck and upper shoulders. Buy: To purchase, accept in exchange for fiat currency. Call: A call is the right without obligation to buy a commodity or a financial security at a predetermined date in the future. Canadian Maple Leaf: Modern bullion coins, usually either gold or silver, minted by the Royal Canadian Mint and with the Canadian symbol of a Maple Leaf on the coin. Carat: A unit of weight for diamonds, pearls, and other gems. The metric carat, equal to 0.2 grams or 200 mg, is standard in the world. Not to be confused with karat. Chameleon: A broker or dealer who changes his position on an investment to what he considers will influence an investor to enter into a transaction. Cash Market: See spot market. Casting: The process of duplicating an object by pouring molten metal into a hollow mold that has been made of the original object or model. In lost wax casting, used in jewellery production, molten gold is forced under pressure into a mould from which the wax model has been burned out. Chasing: A highly skilled and ancient art of decorating metal with figures or ornamental patterns, which may be either raised or indented. The work is done entirely by hand without mechanical aids. The modern chaser draws out the design on the surface of the metal and delineates it with a hammer and punches, not removing metal, as is done in engraving, but pushing it aside. The process is extremely slow. Circulating Coin: A coin that's used in commerce as money. Clad Coinage: Coins made of two metals, a core of one metal and an outer layer made of a different metal. Since 1965, all United States dimes, quarters, half dollars, and dollars have been clad. Coin Dealer: A merchant who deals in coins. A person who buys and sells coins. Coin of the Realm: A legal tender coin issued by a government, meant for general circulation. Generally used in the UK. Coin Gold: Gold used in coins is generally alloyed with small amounts of other metals, usually silver and copper, for durability. U.S. standard gold coins are 900 fine or 21.6k. Coin of the Realm: Coin issued and which is approved for legal tender in that country. Usually applies to British coins. Coin Silver: Coin silver is 90% silver and 10% copper as dictated by United States FTC guidelines. It is a lower grade than sterling and was established in the US in the 1820s. Coin Spoon: This is not a coin but a spoon made of silver. Coin spoons are avidly collected by coin spoon enthusiasts. Coin: a stamped piece of metal of a known weight and fineness issued for use as an exchange medium but also can be a collectors item. Collar: A metal piece that restrains the expanding metal of a planchet during striking. Comex: The Comex is the New York commodities trading center where gold, silver and other precious metals are traded daily. It is a division of the New York Mercantile Exchange. Commemorate: To honor an individual or an event in history or a place. Commemorative: A coin especially minted or 'struck' to commemorate a special occasion or person or event. Commemoratives: legal tender coins or medallions usually minted from gold or silver. Commodities: A product that can be bought and sold. Especially refers to agricultural or mining product that can be processed and resold. Commodity Pool: A venture, usually a limited partnership, in which investors contribute funds for the purpose of buying commodities. Correction: a decline in prices following a rise in a market. Contango Market: This a normal futures market in which prices are higher in the succeeding delivery months than in the nearest delivery month. Opposite of backwardation. Condition: The physical state of a coin. How worn it is, how new, what markings to show use there are. Contango market: a normal futures market in which prices are higher in the succeeding delivery months than in the nearest delivery month. Opposite of backwardation. Counterfeit: A coin that is a fake. Not what one is lead to believe. A coin deliberately constructed to resemble a coin of greater value in order to fool people into thinking it is genuine. Counterfeits are illegal. Cover: to offset a short futures or options position. Currency: Money. That coinage and paper money that is used for everyday transactions. A tool of exchange. Dealer: A person or company who buys and sells a particular product or range of products. Commonly use in the sense of a coin or precious metal dealer. Should be licensed and registered and also look for being a member of a trade association. Denomination: The value of a coin. US coins come in various denominations, pennies, nickels, dimes, quarters, half dollars, and dollars. Designer: the artist who designs a coin but doesn't always do the engraving in a coin die. Derivative: A financial instrument derived from a cash market commodity, futures contract, or other financial instrument. Derivatives can be traded on regulated exchanges or over-the-counter. Futures contracts, for example, are derivatives of physicals commodities, and options on futures are derivatives of futures contracts. Die: A metal piece that has had the design of the coin impressed into it. It goes into a coin press and there are two dies for each coin known as the front and back dies and the coin is struck when the metal is pressed between the two dies with great force in the coining press. Die-Striking: Eth is the same method of making coins as the ancient Greeks. It is the same as die-stamping. First of all a model of the item to be produced, is made out of hard steel. This is then used to make a die, which is hammered into sheets of pure gold with tremendous force to produce exact copies in gold. 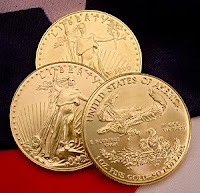 Double Eagles: U.S. $20 gold coins used as legal tender 1850-1933. Double Eagles contain .9675 ounce of gold and come in two designs: the St. Gaudens (Walking Liberty) and the Liberty. Ductility: Ductility is the quality of a metal that allows it to be drawn or stretched. This is how fine wire is made . Gold is the most ductile of all metals and very suitable to be made into fine wire. Eagle: The name given to a coin of the US. There are many types of eagles but all have an eagle stamped on the coin. They can be gold or silver and even platinum. Edge: The outer border of a coin, often called the third side. This is not the rim of the coin. Some coins have lettering or ornamental designs on their edges. Electrolytic Gold: This is very pure gold (999.9 fine) produced by a special refining process employing electric current. It is used for specialized applications. Electroplating: A process in which an electric current is applied to a metal to coat objects with another metal. Used a lot in coating base metals with gold. The thickness of the coating will depend on the intensity and duration of the current applied. Emblem: A symbol or mark used as an identifying mark on a coin. Embossing: Producing figures in relief on both flat metal items and hollow articles such as pitchers, coffee pots or cups, by using punches or hammers on the back or inside of the article, creating the design on the front. You see this a lot in Asia in the streets and markets. Engraver: This is the person who actually cuts the design into the die. It may or may not be the designer. Epigenetic: A mineral deposit of origin later than that of the enclosing rock. Error: A coin incorrectly struck but not discovered until after it has left the mint. These can have great value, especially if there are very few of them. Exchange Traded Funds: Becoming popular now are Exchange Traded Funds (ETF) as a way of purchasing gold and soon silver. One buys a certificate which represents an amount of gold held in trust in a bank vault. As the value of the gold goes up or down so does ones holding. The advantage of this is that the price is very close to spot (see spot) price and so is cheaper than buying gold coins or bars. A possible disadvantage is the tax consideration on making a possible perceived capital gain. Face Value: The legal monetary value stamped on a coin and the sum for which a coin can be spent or exchanged. The value of a legal tender coin as stamped on the coin A one ounce Gold American Eagle has a face value of $50. Fake: Not real, a copy, usually the information that it is a copy is hidden or not announced in order to get more for the object than it is really worth. Fiat Money: paper money made legal tender by law, although not backed by gold or silver. Field: The background of a coin or the portion of a coin's surface not used for design or inscription.. Sometimes also called the open area. Filigree: A form of decoration in which fine gold wire is twisted and soldered into intricate patterns. The Hellenistic Greeks were masters of this technique. Also used in Black Hills Gold (See Black Hills Gold). Fine Gold Wire: This is made by drawing out the gold very thinly. 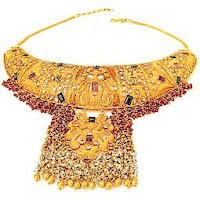 Gold wire of various karat levels is used in jewellery fabrication for chain-making. In electronics, pure gold wire of 999.75 fine is used in transistors and integrated circuits. Fine silver: Fine silver is 99.9 percent silver or more. This is what silver bullion bars are made from. In jewellery however silver is too soft and so is usually mixed with another harder metal for durability. Fine weight: This is the weight of the precious metal in a coin or bar as distinct to the gross weight of the coin or bar which includes the metal which the gold or silver has been alloyed with or the amount of impurities in the product. For example a one ounce gold eagle has a fine weight of one troy ounce of gold but a gross weight of 1.0909 troy ounces. Example: a 1-oz Gold Eagle has a fine weight of one troy ounce but a gross weight of 1.0909 troy ounce. Fineness: This is the purity of a precious metal as measured in parts per 1000. A gold bar of .995 fineness for example would contain 995 parts of gold to 5 parts of another metal, often silver. Florentine Finish: A textured surface for precious metals produced by engraving a series of parallel lines in one direction, then cross-hatching them at a 90 degree angle more lightly than in the first direction. Fool's Gold: A popular name for iron pyrite. It is mistaken for gold sometimes by the inexperienced. You can tell the difference as iron pyrite is hard and brittle whereas gold is soft and malleable. Forward transaction: purchase or sale for delivery and payment at an agreed date in the future; similar to a futures contract, except that forward transactions are not subject to the standardized procedures and regulations of a commodities futures exchange. Futures contract: an agreement made on an organized exchange to take or make delivery of a specific commodity or financial instrument at a set date in the future. Gadroon: A series of small vertical, diagonal or twisted grooves applied as a border decoration on silverware. Gallery: A type of mounting with a pierced, openwork design resembling the gallery, or rear raised deck of an early sailing ship. Garland Style: A jewelry style popular in the early 20th century made possible by the introduction of the widespread use of platinum and characterized by lightness and delicacy that employed motifs such as garlands, ribbon bows, swags, and tassels. Gem: (Gemstone). A precious or semiprecious stone that may be used as a jewel when cut and polished. Include diamond, beryl, emerald, chalcedony, agate, onyx, tourmaline, chrysolite, sapphire, ruby, spinel, topaz, turquoise, zircon, cubic zirconia, jacinth, hyacinth, carbuncle, amethyst, alexandrite, cat's eye, bloodstone, hematite, jasper, moonstone, sunstone, and many others. Several organic materials like coral and pearls are also considered gemstones. Genuine Pearl: A pearl is a calcium carbonate deposit (CaCO3) which a mollusk or shellfish such as an oyster, will create as a reaction to an irritant contained within its shell. The mollusk cannot remove the irritant, it might be a grain of sand or some hard substance, so will coat it with something it feels more comfortable with. The deposit is combined with a substance called conchiolin and this then becomes nacre. This is more known to us as Mother of Pearl. Genuine: Unless the word "genuine" is included in the description of a piece of jewelry, it could simply be using the term to describe the color of the piece rather than its actual content. For example, "gold" meaning gold toned, rather than actual gold. Or "amethyst" meaning amethyst colored, rather than containing an actual amethyst stone. Girandâle: A style of earring or brooch in which a large stone or decorative element suspends three smaller pear-shaped pendants of similar design. Girdle: The outermost edge of a cut gem when viewed from the side and top. It is the edge formed by where the top section (crown) and the bottom section (pavilion) of the cut stone meet. Gold Bars: Bars of gold. These can be as small as one twenty-fifth of an ounce up to 400 ounce bars. Gold Currency Trading: Buying and selling gold as a currency on the currency market. Gold Dust: Very fine flakes or particles of gold, such as those found in placer mining. Gold Eagles: modern gold bullion coins. Produced in the US by the US Mint. Gold electroplating: A process by which sheets of gold of at least 10 karats and no less than seven-millionths of an inch thick are electro-chemically bonded to another metal producing gold plated pieces. Gold Filled: Jewellery with a layer of gold applied to the surface of a different metal. It is called 'Gold Filled' if the amount of gold is equal to one twentieth of the total weight of the piece. Gold Fix: This refers to the value or price of gold which is decided twice daily by the members of the London Gold Market at the Rothschild Bank in London. This information is then passed to all the markets around the world. Gold Leaf: Gold that has been beaten into an extremely thin film. Gold is so malleable it can be beaten by a skilled craftsman so think that a quarter of a million sheets would only make an inch thick. Gold leaf is used for many decorative purposes, including picture frames, signs, book edges, architecture and ornaments. Gold Nugget: An irregular chunk of gold found naturally in streams or where there is running water. It has usually been washed down from natural rock which contained the gold. The heaviest nugget ever recorded, named the Welcome Stranger, was found in Australia in 1869 and weighed 90.9 kilograms or 200 lbs. Gold plated: A piece of jewelry with a wafer thin coating of gold electroplated or mechanically plated onto a base metal. Gold Standard: A system in which a country backs its paper currency with gold. The gold standard has fallen out of use in the major countries as they move to a more manipulative system of issuing paper money as a way of controlling the economy. Gold Tone: This describes jewelry which have been 'finished' with a gold color that resembles gold but has almost no appreciable measurement of weight in actual gold. Gold Washed: Products that have an extremely thin layer of gold, (less than .175 microns thick), applied by either dipping or burnishing the metal, but not plated.. This will wear away more quickly than pieces that are gold plated, gold-filled, or gold electroplated. Found in cheap gold jewellery. Gold: Symbol AU. A soft yellow metal much prized for its value and beauty. Gold has been considered the most beautiful of all metals for thousands of years. It has been used for coins and jewelry for over 6000 years. The specific gravity of pure gold is 19.3. It is often naturally found mixed with silver, copper and other metals. It is also found as nuggets and grains in streams where it has been washed down from open veins. It is found in Quartz also. Gold is very ductile and is the most malleable of all metals. It can be cast into huge statues or beaten into wafer thin sheets of gold leaf. This malleability makes it too soft to be used in jewelry without being alloyed with other metals. Golden Finish: Jewelry finished so that it has the look of gold, but no actual gold content. Good Condition: Jewellery that shows some wear such as fine pits or lines but will not have cracks, chips and evidence of glue and possible repair. That would be considered Damage. Good Delivery Bar: A bar of gold or silver that is acceptable for delivery against a metals contract. Good Delivery: the specification that a bar of precious metal must meet in order to be acceptable for delivery at a particular exchange. Gothic Revival: Jewelry that evokes the feeling of medieval Europe in its use of styles, symbols, and motifs. It began in the 18th century as part of the romantic movement. Grade: A description of the 'wear and tear' of a coin. There is a scale of this called the ANA scale which measures coins from 'about good - 3' to Perfect Uncirculated.- 70'. Grading Service: a company that grades numismatic coins. Generally, graded coins are encapsulated in plastic, a procedure called "slabbing." PCGS and NGC are the two dominant grading services in the United States. Grain: Originally a grain of wheat or barley corn, this is the earliest unit of weight. It is the earliest weight unit for gold. A grain is the smallest unit in the Troy and avoirdupois systems. In Troy weight, which is used for precious metals, 1 grain = .0648 grams; 24 grains = 1 pennyweight (dwt). 20 dwt. = 1 oz. Troy. Gram: The weight, in grams, of a specific metal used in a piece of jewelry. A unit of weight measurement equivalent to .0322 Troy Ounces. A gram is a metric unit of mass and weight equal to 1/1000 kilogram. 1 gram = 15.43 grains = 0.032 ounce Troy; 1 pound Troy = 373.2 grams. Granulation: An ancient jewellery art, perfected by the Etruscans, by which small gold particles adhere to a the surface of a piece of jewelry to form a decorative pattern. Greek Key: A design motif attributed to the ancient Greeks symbolizing the bonds of love, friendship and devotion. Greek key designs are repeating patterns of interlocking geometric shapes. Green Gold: An alloy made of gold mixed with copper, silver, zinc and often cadmium. The copper is what gives it the greenish tinge. It is commonly used with enameling to strengthen the color of the gold when set beside the bright enamels. Gypsy Setting: A setting in which the surface of the mount is virtually flush with the top of the gemstone. Hair Jewelry: A style of jewelry popular in the mid-19th century. Lockets of the hair of loved ones were preserved in brooches under glass. The hair was sometimes intricately curled or woven. These pieces were often inscribed on the back to identify the donors. Later in the century, hair was woven into watch chains, bracelets, and earrings and given as tokens of affection. All forms of hair jewelry are very collectible today. Hairlines: Very tiny lines or scratches on coins, caused by rough treatment or improper cleaning. These reduce the value of the coin. Half-Hoop: A bangle, bracelet, or ring in which half the circumference of the piece is set with stones and does not form a complete circle. Hallmark: Hallmarks are simply marks stamped onto a precious metal by a legally appointed official after assaying to denote the amount of precious metal contained in a piece. They have been used in England since about 1300 to indicate the fineness and the maker of gold and silver articles. The Worshipful Company of Goldsmiths, London, and other guilds are empowered to test and stamp gold and silver wares with four or more marks, including a quality mark, a town mark, a date letter (changed each year) and a maker's mark. Hammered: A texture applied to the surface of an object with a hammer to give it a dimpled look. Hardness: The measure of a stone or gems ability to resist scratching, surface inclusions, abrasions or cracking. See Mohs scale. Hardstone: The term used for any opaque stones used in making cameos, intaglios, or mosaics, such as agate, carnelian, onyx, etc. Head: The prongs that secure a stone onto a setting. Also the obverse side of a coin. See obverse. Heart Cut: A "fancy cut" diamond or stone in the shape of a heart. Heavy Gold Electroplate: The term of electroplating of gold or gold alloy of a minimum 10k fineness with a minimum thickness of 100 millionths of an inch. Hedge: a transaction designed to protect an existing or anticipated physical market exposure from unexpected or adverse price fluctuations. Herringbone Chain: A chain made up of short, flat, slanted parallel links with the direction of the slant alternating row by row resembling the spine of the herring. Hidden Box Clasp: A box clasp hidden under the last link of chain. It looks uniform, except for the release lever. High Polish: Jewelry polished to a mirror-like finish. Hoop Earring: An earring made from metal wire or tubing that has been shaped like a hoop. Charms and other ornaments are sometimes hung from the hoop. Hue: The specific color classification given to an object based on the seven colors found in the spectrum; red, orange yellow, green, blue, indigo, or violet. I.D. Bracelet: I.D. is short for "Identification", so an I.D. bracelet is simply a curved plate engraved with the name or initials of the person wearing it. IGI: Stands for the "International Gemological Institute". It is the largest independent gem certification and appraisal service in the United States. Igneous: A substance produced under conditions involving intense heat, such as that which is found in volcanoes. Igneous rock is rock formed by solidification from molten magma. Inclusion: A naturally occurring flaw, (feather, fracture, fissure, carbon spot, or cloud), within a diamond or other stone. The test for clarity looks for these flaws. Incuse: opposite of relief, the part of a coin's design that is pressed into the surface. Ingot: Metal cast into a bar or other shape. Inlaid: Past tense of inlay. Inlay: A decorative technique in which part of the surface of a piece of jewelry, furniture, or ceramic is cut away and stone, mother of pearl, or some other substance is imbedded into the hollowed-out area so that it is level with the surface of the piece. Inscription: the legend or lettering on a coin. Intaglio: Italian for "carving", an Intaglio is a carved gem wherein the design is engraved or carved into the object so that it sits below the surface plane of the material, as opposed to a cameo in which the design is raised from it's background, in relief. Used for seals. Intrinsic Value: The bullion value of how much the metal in a coin is worth. Inverted Market: a situation in which prices for future deliveries are lower than the spot price. Also known as backwardation. Invisible Set: A method of setting square gemstones side by side in two or more rows within a metal border or frame so that they are flush against one another with no metal separating them. Iridium: A metal of the platinum family often alloyed with platinum to improve workability. Pieces marked "80% Plat. 20% Irid" would indicate that the alloy is 80 % platinum and 20% iridium. Irradiation: The process of bombarding a gemstone with X-rays, gamma rays or streams of subatomic particles in order to change the stone's color. J hoop: A hoop earring in which the hoop is elongated into a shape resembling the letter J rather than being circular. Jabot Pin: A "jabot", (pronounced zhah-Bow), is a kind of ruffle worn on the bosom of a man's shirt or woman's blouse. The "jabot pin" was designed to hold the jabot onto the shirt. It is basically a pin with a brooch at either end. One brooch is removable so that the pin can be stuck through the garment and then secured by reattaching the removable brooch. It is a form of Art Deco mourning jewelry. Jade: An opaque semiprecious gemstone which is usually found in shades of green, but can be also be found in lavender and rose shades. Jadeite: A hard, translucent variety of jade which is rarer than the other varieties of nephrite and comes in a variety of colors such as orange, pink, yellow, brown, blue, violet, and black. Jargon: Registered trade name for a colorless, pale-yellow or smoky-brown variety of cubic zirconia from Ceylon. Jewelry: Also jewellery. Adornments of precious metals and or gems or other pieces worn on the body or on clothes. There is an almost endless amount of variety in jewelry. Job Lot: A collection of merchandise sold in one group for use in a specific display or fixture. Jobber: An individual who buys job lots from manufacturers or wholesalers to sell for a specific display or fixture. Jocla: A small string of beads at the bottom end of a necklace. The beads in the center of the jocla usually contrast with the beads surrounding it and may be larger than the beads surrounding it. Jump Ring: A small oval or round wire ring used to link charms or pendants onto a chain. It is not usually soldered shut. Junk Coins: usually refers to early US silver coins which had a quantity of silver in them. The coins are collected not for their coin or rarity value but purely for the silver content. Karat: a measure of the amount of gold contained in a gold piece. 24 karat gold is considered 'pure' gold although it is measured as 999.9 percent fine since it is really not possible to obtain totally pure gold. There is usually some impurity present even if infinitesimally small. So fine or pure gold is 24k. 18k gold is 18 parts pure gold and 6 parts other metal. 14K or 585 has 585 parts out of 1000, or 58.5% pure gold. Also a variation of the word "carat" which is the word used to describe the weight of a gemstone. Gold is often alloyed with silver, copper, and/or other metals to improve its strength and durability. Karat Gold: A gold alloy of not less than 10k fineness. The term is synonymous with real gold when referring to fine jewellery. Kilo Bar: a bar, usually silver or gold, weighing one kilogram or 32.1507 troy ounces. Kilogram: 1,000 grams (32.1507 troy ounces). Knife Wire: An extremely thin wire holding a gemstone making it appear to float. Koala: Australian platinum coin, minted since 1987, 0.995 fine. Kookaburra: Gold and silver coins issued by the Perth Mint Australia. Krugerrand: South African gold coin. This was one of the first gold coins of one ounce designed for citizens of the US to own. At the time Krugerrands were produced US citizens were not allowed to own gold but were allowed to own gold coins as is legal tender. Krugerrands were a way of getting around this anomaly. Lab-created: created in a laboratory or factory as distinct from created in nature. Synthetic. Lapidary: The art of cutting, shaping, polishing and creating jewelry from stones. Lapis Lazuli: A royal blue opaque semiprecious stone with white veins or patches of calcite and a few gold-looking metallic flecks of pyrite. Lapis can be dyed to enhance the color. Lapis: Shortened form of Lapis Lazuli. Lariat: A cord worn as a necklace with the ends of the cord dangling like a necktie. It can be tied into a knot or secured by a sliding brooch. See Bolo. Laser drilling: A way of enhancing a gem by drilling a tiny hole with a laser to remove an impurity. Lavalier: (Negligee Pendant): A necklace with two pendants of unequal length suspended from it. Layered: One sheet of material on top of another with indistinct boundaries between them. Leaf: Gold leaf has a fineness of .999, meaning that it is 99.9% pure. It is also extremely thin. It would take half a million sheets of gold left to make a pile 2 inches thick. Legal Tender: A coin that can be legally used to purchase goods or services in a country. Coin or notes that have been specified by the government of that country as acceptable as an exchange medium for good and service and debt. Legend: The inscription or principal lettering on a coin. Length: The linear measurement of a bracelet or necklace. Lever back: A means of attaching an earring to a pierced ear with a hook that goes through the ear and is then secured by a hinged lever attached to the back of the piece. Light Transparent: Plastic that appears to only be translucent, but is actually transparent when held up to the light. Use a lot to cover proof and Brilliant Uncirculated coins as a protection from the elements. Lime: The gray or white mineral form of calcium oxide, used as a cementing compound. Limestone: A common sedimentary rock consisting mostly of calcium carbonate that was deposited by the remains of marine animals. It is used as a building stone and in the manufacture of lime, carbon dioxide, and cement. Crystalline limestone is called marble. Linde Star Sapphire: A synthetic star sapphire developed in 1967. Many of the star sapphires found today are synthetics. Link: A loop, or other object, which is linked together in a series to make a chain. Liquid Gold: For bright gold surface decoration on ceramics and glass, a solution of 12% gold and other chemicals in a medium such as oil of lavender is painted on the object and then fired to a temperature of 540 degrees Celsius. The result is a smooth lustrous coating of gold about 0.1 microns (0.000004 inches) thick. Liquid Market: A market where selling and buying can be accomplished with ease. Liquid Silver: The term given to strands of small silver beads which were made by carefully slicing tubes of sterling silver into 1/8" pieces and stringing them together. Liquidity: The quality of being easily convertible into cash. Silver coins fit the bill here. Living Jewelry: A term for jewelry made from materials that were once part of a living creature, such as Ivory, Pearls, Seashell, and Coral for example. LMW: Acronym. "Limited Manufacturer's Warranty". A warranty which limits the producer or manufacturer to parts or certain parts of the product only and does not extend to cover the use or operation even of the product. Always check the warranty on anything you buy as the terms will vary. Lobster Claw Clasp: A means of connecting the ends of a necklace together. One end has a wide flat hook, resembling the claw of a lobster, with a hinged "thumb" on a spring. Locket: A hinged case, usually in the shape of an oval or heart, which can be opened or closed and usually contains a photograph or memento such as a lock of hair. Lode: A mineral deposit consisting of a zone of veins or disseminations; also, a mineral deposit in solid rock. London Fix: two daily bidding sessions in London of five major gold firms, at which the price of gold is "fixed" or set. Lost Wax Casting: An object is made of wax and coated in clay. When the clay is fired, the wax melts and is drained away or evaporates leaving an exact impression of the object in the hardened clay, which is then filled with molten metal. Lucite: A clear, strong plastic that can be moulded and carved, popular in the 1940's for ladies purses and jewelry. Luster: The reflection of light from the surface of a mineral, described by its quality and intensity; the appearance of a mineral in reflected light. Terms such as metallic or resinous refer to general appearance; terms such as bright or dull refer to intensity. Also a frosty appearance on the surface of a coin, usually an uncirculated coin. A reference to the brightness of an object that shines with reflected light rather than producing its own. Lustrous: A reference to the brightness of an object that shines with reflected light rather than producing its own. Mabe' (Or Mobe'): A Japanese term for cultured pearls which are cultured against the shell so that only half a pearl is formed resembling a half-sphere. Magnesia: Also called periclase, magnesia is a light, solid, white earthy mineral composed of magnesium oxide. It is a source of magnesium and is used as a laxative. It takes its name from Magnesia, an ancient city of Asia Minor, and is a mineral ingredient of the philosophers' stone. Magnesium: A light, silvery malleable and ductile, metallic element which occurs in nature as a compound with other elements. Malleability: the property of a substance, especially metal,, of being able to be hammered or pressed out of shape without returning to it's original shape. Gold is the most malleable of all metals and may be beaten to a thickness of 0.000004 of an inch. Maltese Cross: A Maltese cross has four arms of equal length with a V shaped notch cut out of the ends. It is named for the Knights of Malta, a group of knights who bore this symbol on their tabards during the Crusades. Marina Chain: A chain composed of small, round, diamond cut links that are designed to lie flat like a curb link chain, but are set very close together. Mariner Link: A chain link that resembles a flat oval with a flat bar in the middle of the ring. A figogucci chain is a variant form of this. Market Value: The price a coin or bullion bar is traded. This can vary daily with the value of the metal concerned. Marquise: pronounced Mar-KEY. It is an oval shape gemstone which tapers to a point at both ends, named after the Marquise de Pompadour, Mistress of King Louis XV. Matinee Length: A necklace 30 to 35 inches long. Matte: In jewelry with a matte finish, the designer has used either a chemical process or an abrasive to scratch or dull the top layer and create a matte finish. Also known as a 'brushed finish'. Medal: A coin or medallion designed to commemorate or honor a person or event. It usually resembles a coin but is not legal tender as is not actually a coin. Medallion: A large medal (see medal). A medallion can be issued by a government or a private mint. Medium of Exchange: Something used as an agreed form of exchange. This could be money or it could be traded good or barter. Something agreed by both sides of the trade can be used. Metal: A solid mineral element that is able to conduct heat and electricity and is pliable under heat or pressure. Common metals include bronze, copper and iron. Metals used for making jewelry, such as platinum, gold, and silver are called "precious metals". Metallic: There are two definitions. A material composed of metal is metallic but the term is also used to describe something that is metallic in appearance and has a luster or a reflective surface. Metric ton: 1,000 kilograms or 32,151 troy ounces. Middleman: A person who acts as an agent between two parties to arrange the trade of something. Milgrain Setting: A milgrain design engraved into the edge of the metal securing a stone in place. Milgrain: A raised, beaded edge on a ring done with a special engraver's tool; resembling the edge of a coin. Millefiori: Glass or clay beads with imbedded floral designs. Millefiori means "a thousand flowers" in Italian. Mine Cut: A diamond or gem cut. It differs from the modern Brilliant Cut only in its girdle shape, which is square instead of round, a higher crown, smaller table, deeper pavilion, and larger culet, but the number and arrangement of the facets are the same. It is lumpier than the form accepted today. This form of cut surfaced in the early 1800's and began to disappear around the turn of the 20th century. Mineral: Any inorganic substance; i.e. anything that is not a plant or an animal. Mint: 1. The condition of a coin which it has not been circulated. It is said to be in 'mint condition' 2. The place which produces or manufactures coins either privately or under the auspices of a government. Mint Condition: A coin or piece of jewelry which is in the same condition as when it left the mint or manufacturer. That is to say there is no signs of wear at all. Mint Luster: the dull, frosty, or satiny shine found on uncirculated coins. Mint Mark: a letter or symbol stamped on a coin to identify which mint struck the coin. Mint Police: The special US force created to protect all US mint buildings including Fort Knox. Mint Set: A complete collection of a specific set of coins. The Panda Series of Chinese gold coins is an example. Mint State: A coin in an uncirculated condition as it was issued by the Mint that produced it. Mintage: The amount of coins of a specific type, value and condition produced by a mint. Modern Issues: Coins struck, minted or produced for circulation or for sale to investors or collectors. Moh's Hardness Scale: A measure of a mineral's hardness and its resistance to scratching invented by Austrian mineralogist, Friedrich Moh. On the scale the softest mineral is talc and the hardest is diamond. Moonstone: A transparent, slightly iridescent, milky white variety of feldspar with white or light blue opalescent spots. Moonstone is considered a good luck stone, especially for lovers. Morse: A clasp used by the clergy for fastening garments, such as a cape, in front. It is usually very large, from 12.5 to 17.5 cm in diameter, of various materials and shapes, and decorated in religious themes. Mosaic: A design created by pressing pieces of stone, glass, or ceramic tile, (called tesserae), in mortar. Mother-of-Pearl: The pearlescent material on the inside of mollusk shells like abalone, oysters, and mussels. This material can be scraped off, sliced thin, and used as inlay on a variety of jewelry, furniture, etc. Mothers' rings: A kind of "family jewelry", Mother's rings are rings personalized with their children's birthstones or with birthstones and names. Motto: a phrase or slogan on a coin that is symbolic of a country's ideals. Mount: To place or fix a stone in the setting. See Mounting. Mounting: A piece of metal that holds a gem in place. Mourning Jewelry: Jewelry worn to commemorate the death of a loved one, usually in the form of a ring, brooch, or necklace; widely worn during the Victorian era when the death of Prince Albert plunged Queen Victoria into a lifetime of mourning. See Filigree, Jet, and Jabot Pin. MS-60: The lowest grade of Mint State coins. Higher-grade coins are labeled MS-61 up to MS-63 with MS-70. Coins showing no wear. Muff Chain: A long chain with a clasp used to suspend a lady's fur muff. Native Gold: Natural gold in a pure state in nature. NGC: Acronym. Numismatic Guaranty Corporation of America. One of the two major coin grading services in the United States. Noble: modern platinum bullion coin issued by the Isle of Man since 1983. Numismatic Coins: Coins whose prices depend more on their rarity, condition, dates, and mint marks rather than on their gold or silver content. Numismatics: The study and collection of money and coins. Also includes paper money and sometimes medals and medallions. Numismatist: A coin collector. NYMEX: the New York Mercantile Exchange, a future exchange where platinum and palladium are traded. Obsolete: something, in this case a coin, no longer produced. Obverse: The front side of a coin which contains the principal design. Also known as the 'head' side of the coin. It usually has the date, mint mark, and main design. Off-center: This describes a coin that has received an off-center strike from the coin press and has portions of its designs missing. Option: the right, but not an obligation, to buy or sell a commodity or a financial security on a specified date in the future. Ounce: a unit of weight. In the precious metals industry, an ounce is defined as a “Troy Ounce” equivalent to 31.1035 grams. Overstrike: This is where a new coin is struck using a previously struck coin as the planchet. Pandas: Chinese coins of gold and silver produced for coin collectors. Each has a Panda struck on them. Panning: A method of prospecting for gold by washing gold bearing minerals such as gravel, dirt etc to separate out the gold. Pattern: an experimental or trial piece, generally of a new design or metal. PCGS: Acronym. Professional Coin Grading Service, one of two major coin grading services in the United States. Pennyweight: Originally the weight of an English silver penny. Now an American unit of weight for gold in which one pennyweight equalling 24 grains or 1/20 of a troy ounce. Physicals Market: A marketplace in which physical products are traded, as opposed to a futures market where "contracts" are traded and physical delivery of the product may or may not take place. Placer: A superficial mineral deposit formed by mechanical concentration of mineral particles from weathered debris. The common types are beach placers and alluvial. Placer Mining: The extraction and concentration of heavy metals or minerals from placer deposits by various methods, generally using running water. Planchet: A blank piece of metal on which a coin design is stamped. Platinum Eagles: Modern platinum bullion coins minted by the U.S. Treasury. Precious Metals: Any of the gold, silver, platinum and other rare metals. Premium: The price of a coin over and above the value of the gold content. Proof: a specially produced coin produced using special dies and planchets that results in a sharpness of detail and a virtually flawless surface, usually mirror-like fields. Such coins are often struck twice to accent the design. Proof Set: A set of proof coins of a particular type, denomination or year or series. Pyrite: A common yellow mineral. . It has a brilliant luster and an absence of cleavage, and has often been mistaken for gold . It is commonly referred to as "fool's gold"
Quarry. Site where stone, rock and construction materials are extracted. Open-pit operation. Relief: The opposite of incuse. The part of a coin's design raised above the surface. Repoussé: A form of decoration on metal objects where a relief pattern is made by hammering from the back or on the front of the surface. Restrike: An officially issued restrike of a formerly circulated coin using the original dies but at a later date. Reverse: The back or tails side of a coin. Riddler: This is a machine that screens out blanks that are the wrong shape or size. Riffle: A groove in the bottom of an inclined trough or sluice, for trapping gold or other heavy minerals contained in sand or gravel. Rim: the raised edge on both sides of a coin. It is designed to protect the coin from wear. Roll: Coins packaged by the mint or banks or dealers into a roll. coins packaged by banks or dealers. The number of coins in a roll depends on the denomination. Rolled Gold Plate: Same as gold-filled except the quantity of karat gold is less than 1/20 of the total metal weight. Must be identified with a fraction indicating the quantity of gold, e.g., 1/40 12k R.G.P. Roman Gold: A finish on gold jewellery produced by matting or frosting the surface, then electroplating it with pure gold. It gives a soft matte finish with a rich yellow color. Sand-Blasting: Producing a matted or frosted finish on gold or other metal by blasting it with a stream of sand driven by a jet of compressed air. Seal: an official symbol or mark. Series: A collection of coins containing all date and mint marks of a particular design and denomination. Silver: Silver is a chemical element with the symbol Ag. This comes from the Latin for silver, argentum. Silver has the highest electrical and thermal conductivity of any metal and occurs in minerals and in free form. Silver is used in coins, jewelry, tableware, photography, and in mirrors. Silver Bars: Bars of silver. These can be as small as one ounce or as large as 400 ounce bars. Silver Eagles: US one ounce silver bullion coins. Slabbed Coins: These are coins encapsulated in plastic for protection against wear. Generally, "slabbed" coins are graded by one of the two major grading services. Solid Gold: Fine or 24k gold. Sovereign: An English gold or silver coin produced by the Royal British Mint and with a face value of one pound sterling and a gold content of .2354 ounce. There are also half sovereigns. Specific Gravity: This is the ration of weight of a given volume of a substance in relation to an equal weight of water. Spot: The price for the physical delivery of bullion bars, usually bars of gold silver or platinum. This is considered the price of the precious metal on the open market and changes daily. Dealers will charge spot plus an additional handling charge. Spread: the difference between the buying price and the selling price of a precious metal coin or trading unit. Stirling Silver: The term "Sterling Silver" refers to the .925 grade of silver, used in England from the 13th century. It is still used today and refers to silver that is not 100 percent but 945 from 1000. Stope: An underground working area in a mine from which gold ore is extracted. Strike: This is the process of stamping a blank with a coin design. Heavy presses amounting to many tons are used to stamp out or 'strike' the coin. The strength of the imprint - full, average, or weak - affects the value of rare coins. Symbolic Face Value: The nominal value given to legal tender coins sold for their metal content. Example: the 1-oz Gold Eagle carries a $50 face value but sells for the value of its gold content plus a premium of 5% to 8%. Tola Bars: A unit of weight of India equal to 180 grains or 0.375 troy ounce (11.7 grams). Trade. gold bars measured in tolas, the most popular of which is the 10-tola cast bar (3.75 troy oz). Although manufactured in Europe, tola bars are traded primarily in the Middle East, India, Pakistan, and Singapore. Troy Ounce: A unit in the Troy system of weights used for precious metals, based on a pound of 12 ounces and an ounce of 20 pennyweights or 480 grains. Gold is widely measured in Troy ounces. 1 Troy oz. = 31.1035 grams. Type Set: a collection of coins based on denomination. For example, a nickel type set would contain one of each of the four types of nickels that the United States Mint has produced. Uncirculated: a coin in new condition, that doesn't have any signs of wear and sometimes said to be "brilliant uncirculated" or "BU." The term is often used interchangeably with Mint State. Upset: A coin exhibiting an error where the two sides are not correctly aligned. This is caused when one of the dies in the coining press works loose and rotates to a different angle before striking the coin. See also the glossary entry for Alignment. Upsetting Mill: a machine that raises the rim on both sides of a blank or planchet. Variety: a minor change from the basic design type of a coin. Vermeil: A term used to describe heavy gold electroplate over sterling silver, or a substantial layer of karat gold mechanically applied over sterling silver. Vignette: The pictorial portion of a banknote as opposed to its frame or lettering. Volume of Trading (or sales): A simple addition of successive futures transactions (a transaction consists of a purchase and matching sale). Wear: friction on the surface of a coin. Working Dies: Dies taken from the master dies (hubs) and used in a coin press to actually stamp the coins. They are discarded and replaced as they wear out or break. See also die. Working Hubs: The transfer punch with a relief design from which the working dies are made. World coins: any coin issued by countries other than the united states. Writer: The seller of an option who collects the premium payment from the buyer. Year Date: the year in which a coin is struck. Year Mark: A character or symbol stamped on articles of silver or gold by British goldsmiths to mark the year in which the article was manufactured. One of the four or more symbols making up the Hallmark. Yield: a measure of the annual return on an investment expressed as a percentage. Zinc: Bluish-white hard metal occurring in various minerals such as sphalerite. China & India demand for gold is half the rest of the world. The world Gold Council reports in their Gold Demand Trends report for 2011 second quarter that China and India account for over half the worlds gold demand. 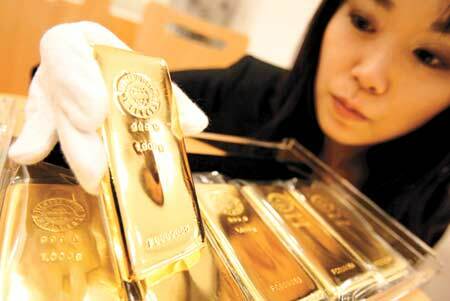 China and India also make up 52 percent of investments in the world for gold bars and coins. Also the two nations made up the major portion of jewelery and gold investment demand with almost 920 tonnes worth around 44.5 billion US dollars. This is the second highest quarterly value on record the report stated. "These two markets accounted for 52 per cent of global bar and coin investment and 55 per cent of global jewellery demand and year-on-year volume growth in total consumer demand was 38 per cent in India and 25 per cent in China, compared with a global growth rate of 7 per cent," according to the WGC Report. It went on, "for the remainder of the year as optimistic". In volume terms, the demand was 17 per cent in the 2011 second quarter as compared to the year-ago period. While in terms of value, the demand rose by five per cent during the same time." "After setting a new record at USD 1,552.50/oz, gold retreated back towards USD 1,500/oz, providing a final boost to demand at the close of the quarter," the report added. Since then gold has climbed to over 1800 and looks set to attain the magic 2000 dollars an ounce. With the Chinese and Indian markets buying gold like there is no tomorrow, this must be the right time to buy gold.